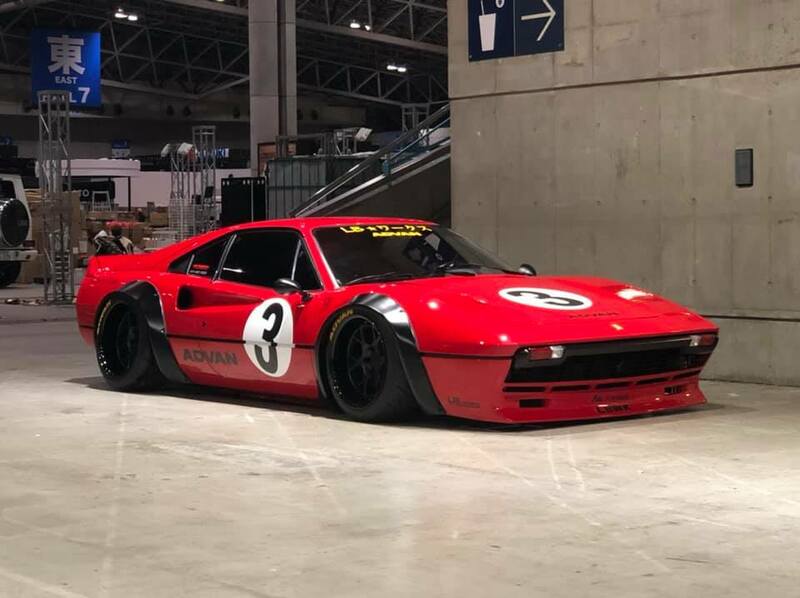 At the recently concluded Tokyo Auto Salon, Japanese-based tuner Liberty Walk has revealed a custom body kit meant for the Ferrari 308 GTB. Let’s have a closer look at what’s on offer. Oh, and by the way: a 1984 or 1985 Ferrari 308 GTB would currently cost around €120,000 in peak condition. Most buyers looking for a vehicle at this price point tend to prefer bone-stock, never-tuned models (let alone JDM-style tuned!). So, in all likelihood, the current owner of this FAT Ferrari 308 GTB won’t be reselling it anytime soon, or at any kind of profit. As you can see on the photos, Liberty Walk gave the Italian vehicle a front spoiler with air intakes, massive fender flares with exposed fastening bolts (yeah), a ducktail-shaped rear spoiler, black forged rims wrapped in Yokohama Advan tires, AirRex air suspension, and an FI Exhaust system for an appropriately thunderous soundtrack. Wrapping up the list of changes about this Ferrari 308 GTB are tinted windows, including the windshield, and slightly darkened turn blinkers.